Little Matchstick Girl Meets Her Shining Knight! 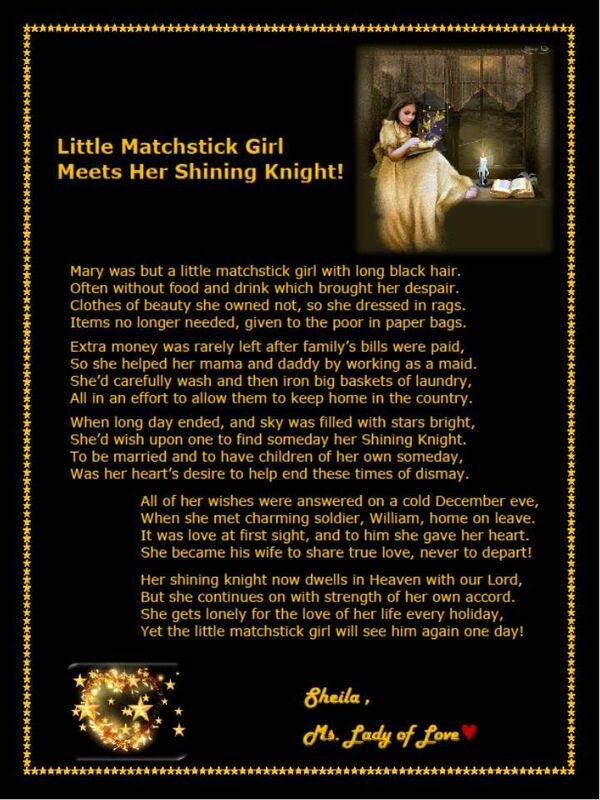 Re: Little Matchstick Girl Meets Her Shining Knight! This is a Wonderful Love story! God bless you as we celebrate the great loves of the holiday season! !